This systematic review focuses on the impact of Interactive Whiteboards (IWBs) on teaching and learning. Learning is interpreted through a Vygotskian constructivist lens, emphasizing quality through dialogic interaction. Classroom interactions and achievement in standardized tests are considered formative and summative assessment tools, respectively. Thus, our aim was to investigate whether the IWB technology had any effect on teaching and learning, reflected in standardized forms of testing or in-classroom quality measures. An online search through Proquest and FirstSearch resulted in sixteen studies of diverse methodologies. Qualitative synthesis of quantitative data indicated that IWBs have not raised the levels of pupils’ achievement and do not necessarily impact the quality of classroom learning. More longitudinal studies should focus on particular subjects taught, the age of pupils and particular type(s) of use. Overall, quality teaching is an important condition for improved learning, which does not necessarily result from IWB use. However, there is a general consensus across all studies that learning can be facilitated and improved through the use of IWB. Synchronizing theory with technological applications seems to be key in answering such assumptions positively. More importantly, concerns are raised regarding the unfolded relation between achievement and classroom interaction. Kyriakou, A. & Higgins, S. (2016). Systematic Review of the Studies Examining the Impact of the Interactive Whiteboard on Teaching and Learning: what we do learn and what we do not. 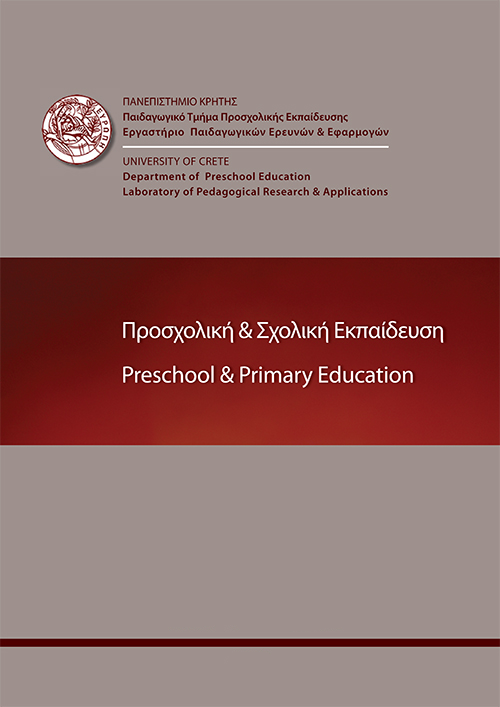 Preschool and Primary Education, 4 (2), 254-275. Laboratory of Pedagogical Research & Applications. Retrieved April 23, 2019 from https://www.learntechlib.org/p/187373/. Alexander, R. (2008). Towards dialogic teaching: rethinking classroom talk (4th ed.). York: Dialogos. Bahadur, G.K., & Oogarah, D. (2013). Interactive whiteboard for primary schools in Mauritius: An effective tool or just another trend? International Journal of Education and Development using Information and Communication Technology (IJEDICT), 9, 19-35. Beauchamp, G. (2004). Teacher use of the interactive whiteboard in the primary schools: towards effective transition framework. Technology, Pedagogy and Education, 13, 327-348. Beauchamp, G., & Kennnewell, S. (2010). Interactivity in the classroom and its impact on learning. Computers& Education, 54, 759-766. Bloom, B.S., Hastings, J.T., & Madaus, G.F. (1971). Handbook on the formative and summative evaluation of student learning. New York, NY: McGraw-Hill. Boland, A., Cherry, M.G., & Dickson, R. (2014). Doing a systematic review: A student’s guide. London: Sage Publications, Inc.
Callingham, R. (2008). Dialogue and feedback. Assessment in the Primary Mathematics Classroom, 13, 18–21. Campbell, T.L. (2010). The effects of whiteboards on student achievement in fourth grade mathematics as measured on the Palmetto Achievement Test (PACT) at selected schools in North Central South Carolina. Unpublished doctoral dissertation, South Carolina State University, USA. Cheung, A., & Slavin, R. (2013). The effectiveness of educational technology applications for enhancing mathematics achievement in K-12 classrooms: A meta-analysis. Educational Research Review, 9, 88-113. Ciltas, A., Guler, G., & Sozbilir, M. (2012). Mathematics education research in Turkey: A content analysis study. Educational Sciences: Theory and Practice, 12, 574-580. Clark, I. (2012). Formative assessment: A systematic and artistic process of instruction for supporting school and lifelong learning. Canadian Journal of Education, 35, 24–40. Cooper, H., Hedges, L., & Valentine, J. (2009). The handbook of research synthesis and metaanalysis (2nd ed.). New York: Russell Sage Foundation. Cuban, L., Kirkpatrick, H., & Peck, C. (2001). High access and low use of technologies in high school classrooms: Explaining an apparent paradox. American Education Research Journal, 38, 813-834. Dorman, J.P., Adams, J.E., & Ferguson, J.M. (2003). Across-national investigation of students’ perceptions of mathematics classroom environment and academic efficacy in secondary schools. International Journal for Mathematics Teaching and Learning, 15, 123176. Esarte-Sarries, V., & Paterson, F. (2003). Scratching the surface a typology of interactive teaching. In J. Moyles, , L. Hargreaves, R. Merry, F. Paterson, & V. Esarte-Sarries (Eds. ), Interactive teaching in the primary school digger deeper into meanings (pp. 63–81). Gera, R. (2012). Bridging the gap in knowledge transfer between academia and practitioners. International Journal of Educational Management, 26, 252–273. Gifford, S. (2003). How should we teach mathematics to 3-year and 4-year olds? Pedagogical principles and practice for the foundation stage. Mathematics Teaching, 184, 33-38. Hall, K. (2002). Research in progress. Reading: Literacy and Language, 36, 44–47. Hall, I., & Higgins, S. (2005). Primary school students’ perception of interactive whiteboards. Journal of Computer Assisted Learning, 21, 102–117. Hallinger, P. (2013). A conceptual framework for systematic reviews of research in educational leadership and management. Journal of Educational Administration, 51, 126149. Harlen, W. (2007) The quality of learning: Assessment alternatives for primary education. Primary Review Research Survey 3/4. Cambridge: University of Cambridge Faculty of Education. Hennessy, S. (2011). The role of digital artefacts on the interactive whiteboard in supporting classroom dialogue. Journal of Computer Assisted Learning, 27, 463-489. Higgins, S., Beauchamp, G., & Miller, D. (2007). Reviewing the literature on interactive whiteboards. Learning, Media and Technology, 32, 213–225. Higgins, S., Xiao, Z., & Katsipataki, M. (2012). The Impact of Digital Technology on Learning: A Summary for the Education Endowment Foundation. London: Education Endowment Foundation. 274Kyriakou, HigginsHsieh, H., & Shannon, S. (2005). Three approaches to qualitative content analysis. Qualitative health research, 15, 1277-88. Hwang, W., Chen, N., & Hsu, R. (2006). Development and evaluation of multimedia whiteboard system for improving mathematical problem solving. Computers& Education, 46, 105-121. John, P.D. (2005). The sacred and the profane: Subject sub-culture, pedagogical practice and teachers’ perception of the classroom uses of ICT. Educational Review, 57, 471–490. Jones, I., Swan, M., & Pollitt, A. (2015). Assessing mathematical problem solving using comparative judgement. International Journal of Science and Mathematics Education, 13, 151-177. Kennewell, S. (2007). The use of ICT to improve learning and attainment through interactive teaching (ESRC Full Research Report, RES-139-25-0167-A). Swindon: ESRC. Kent, P. (2006). Using interactive whiteboards to enhance mathematics teaching. Australian Primary Mathematics Classroom, 11, 23–26. Lopez, O. (2010). The digital learning classroom: Improving English language learners’ academic success in mathematics and reading using interactive whiteboard technology. Computers& Education, 54, 901-915. Loveless, A.M. (2003). The interaction between primary teachers’ perceptions of ICT and their pedagogy. Education and Information Technologies, 8, 313–326. Masera, R. (2010). Effects of traditional versus tactual/kinesthetic interactive-whiteboard instruction on primary students' vocabulary achievement and attitude-test scores. Unpuplished doctoral dissertation, St.John’s University, New York. McFarlane, F., Schroeder, F., Enriquez, M., & Dew, D. (2011). How do we lead when change is constant? The Journal of Rehabilitation, 77, 4-12. Mercer, N. (1995). The guided construction of knowledge. London: Routledge. Murphy, J., Vriesenga, M., & Storey, V. (2007). Educational administration quarterly, 19792003: an analysis of types of work, methods of investigation, and influences. Educational Administration Quarterly, 43, 612-28. Penn, H., & Lloyd, E. (2006). Using systematic reviews to investigate research in early childhood. Journal of Early Childhood Research, 4, 311–330. Peterson, E., & Siadat, M.V. (2009). Combination of formative and summative assessment instruments in elementary algebra classes: A prescription for success. Journal of Applied Research in the Community College, 16, 92–102. Rains, C. (2011). Effect of interactive whiteboard instruction on 5th grade standardized test scores in the area of mathematics. Unpublished Doctoral Dissertation, Walden University, USA. Slay, H., Siebӧrger, I., & Hodgkinson-Williams, C. (2008). Interactive whiteboards: Real beauty or just ‘‘lipstick”? Computers& Education, 51, 1321-1341. Swan, K., Schenker, A., & Kratcoski A. (2010). Interactive whiteboards and student achievement. In M. Thomas& E.C. Schmid (Eds. ), Interactive whiteboards for education: theory, research and practice (pp. 1-176). USA: IGI Global. Thompson, J., & Flecknoe, M. (2003). Raising attainment with an interactive whiteboard in Key Stage 2. Management in Education, 17, 29-33. Tveit, S. (2014). Educational assessment in Norway. Assessment in Education: Principles, Policy& Practice, 21, 221–237. Valentine, J.C., Pigott, T.D., & Rothstein, H.R. (2010). How many studies do you need? : A primer on statistical power for meta-analysis. Journal of Educational and Behavioral Statistics, 35, 215–247. Wall, K., Higgins, S., & Smith, H.J. (2005). The visual helps me understand the complicated things: Pupil views of teaching and learning with interactive whiteboards. British Journal of Education Technology, 36, 851–867. Watt, K. (2009). A comparison of the effects of programmed learning sequenced and Interactive Whiteboard instruction on the Mathematics achievement and attitudes of the eighth-grade students. Unpublished Doctoral Dissertation, St. John’s University, New York.